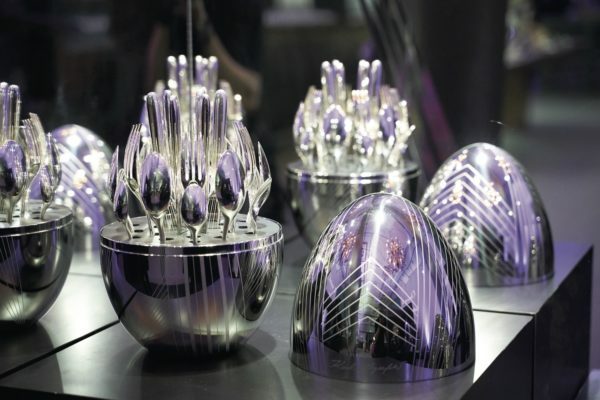 In September, Karl Lagerfeld collaborated with Christofle, the luxury Parisian silversmith, on an exclusive edition of the “MOOD” flatware set and decorative case. 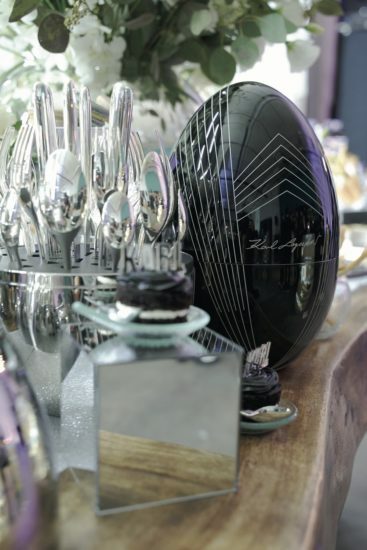 Taking inspiration from the Art Deco movement, Karl — himself a long-time connoisseur of Christofle — designed a striking, symmetrical pattern of graphic lines to appear on the elliptical egg shape. There are two versions that have been created: one in polished silver and one in black, lacquered stainless steel. The sleek MOOD opens to reveal a 24-piece silver-plated cutlery set. Each piece is stamped with a subtle linear print, the Christofle hallmark and the iconic Karl Lagerfeld silhouette logo. 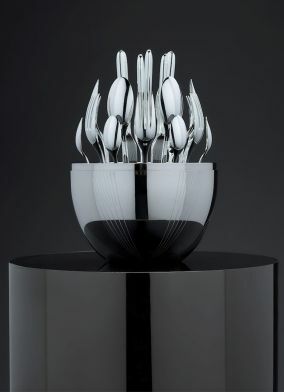 The MOOD is Christofle’s most renowned design that re-imagines the classic codes of table setting; it reflects the brand’s vision for relaxed but refined entertaining. 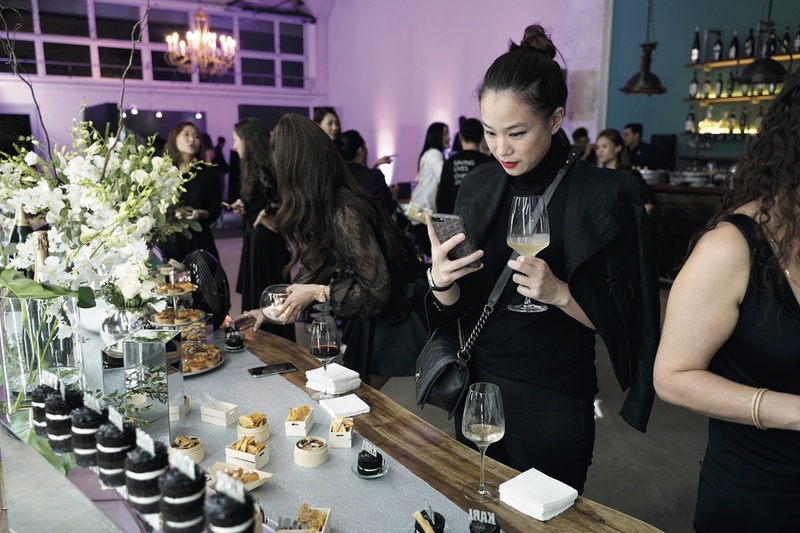 The partnership with Karl Lagerfeld marks the first time in Christofle’s 188-year history that it has worked with a fashion brand.